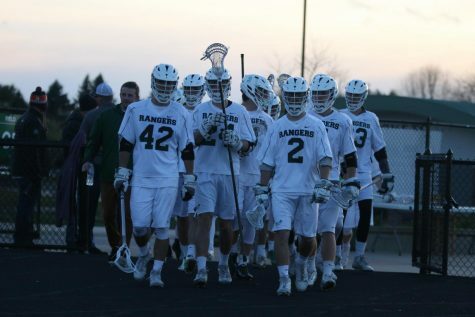 The upperclassman quartet of junior Jackson Clay and seniors Evan Metaj, Tate Hallock, and Luke Majick put on a show on the offensive side of the ball, as the Rangers went on to score 20 goals on Tuesday. 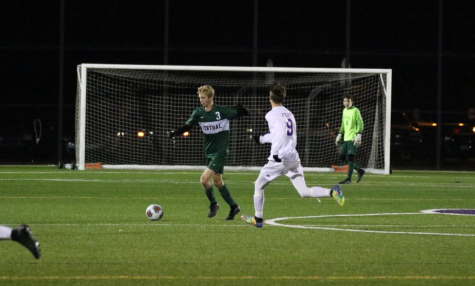 Tate and Jackson topped the box score, scoring 5 goals apiece; Luke and Evan closely followed with 4 goals and 3 goals, respectively, while Tate added 4 assists to his name. 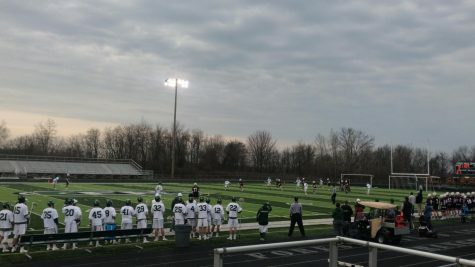 In its first game back from Spring Break, the boys varsity lacrosse team hosted the east-side powerhouse Saline Hornets. 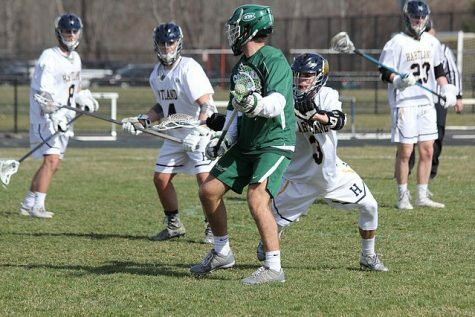 The Hornets came into this game with a 2-0 record—similar to the Rangers—with big wins over Detroit Country Day and Cranbrook Kingswood. With such huge wins early in the season, the Hornets looked like a threatening opponent. Even with the intimidating resume, the Rangers handily defeated Saline in an offensive slugfest, winning 20-12. The Hornets stuck around for the majority of the game, but besides the first quarter, the game was never really close. Only a minute into the game, Luke started off the scoring, and Evan doubled the lead a minute later. The Rangers were flying but within the next two minutes, the boys were brought back down to earth. Saline scored at the 9:05 and 8:18 marks, respectively, tying up the game. Thankfully for the Rangers, the offense picked up the pace pretty quickly. 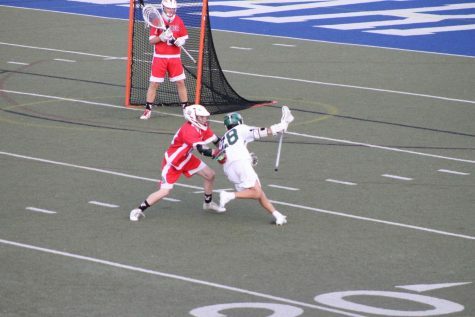 Jackson regained the lead halfway through the quarter; he then doubled the lead from a great assist from Tate, who beat multiple defenders to drive down the middle of the field and dish it out to Jackson for the goal. To close out the first quarter, the Rangers scored 5 unanswered goals, giving FHC a 7-2 lead heading into the second quarter. The boys’ offensive prowess slowed down in the quarter, scoring only 5 goals. 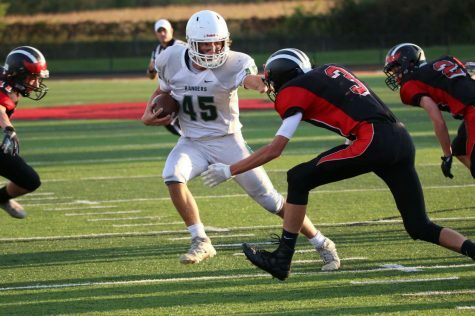 Tate continued to shine on the field, displaying his remarkable athletic ability, as he beat his defenders with his speed and created opportunities for his teammates. Tate, Jackson, and Evan stood out all game, with all three of them recording a hat-trick by halftime. The defense stayed strong for the most part throughout the half, as the Rangers went into the locker room with a 12-5 lead. 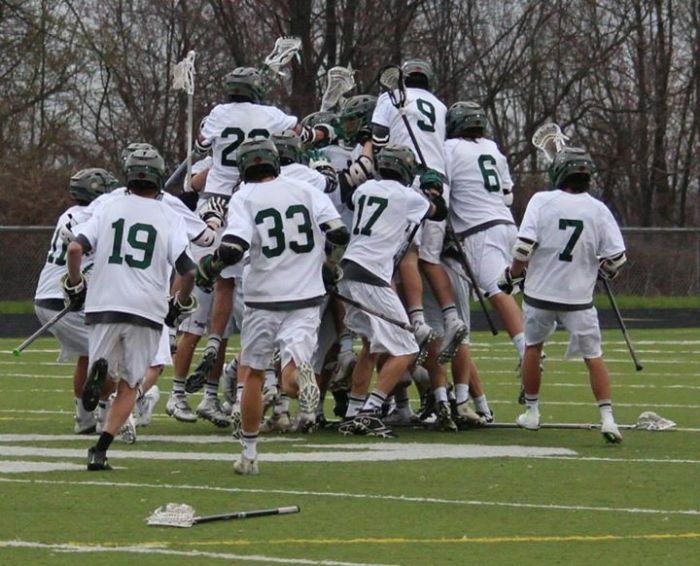 In the second half, the game was more equal, as the second half score was 8-7 in favor of FHC. Tate and Jackson picked up from where they left off in the first half, each scoring 2 goals in the second half. Both teams got their chances, and although Saline was a talented team, this was something that bugged Coach Shira. For the next game, the defense will be in for more of a challenge than Tuesday. On Thursday, the Rangers take on East Grand Rapids in one of the biggest games of the season. The boys will look to add to their 3-0 record against their crosstown rival, a team that they lost to in a heartbreaking State Championship loss.